Hip-hop, EDM, TOP 40, and house. Villas, sand cabanas, opium beds, day beds, cabana rental, pavilion, fire pit. Living in the desert, it's not everyday that the citizens of Las Vegas get to enjoy a nice, tropical paradise. Since most of the housing in the Las Vegas Valley is void of a backyard big enough for a pool, residents typically turn to public pools. If you've ever had the pleasure of visiting a public pool, you'll know that the serenity you seek is near impossible to find. The crowd is typically young families with at least two children, one of which is usually terrified of the water and screams incessantly. 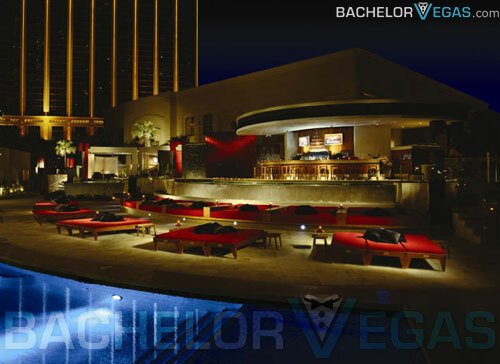 If you've ever subjected yourself to this form of water torture, you'll know that paying for a spot in one of Sin City's luxurious pool clubs is far more than just "worth it" - it's a necessity. 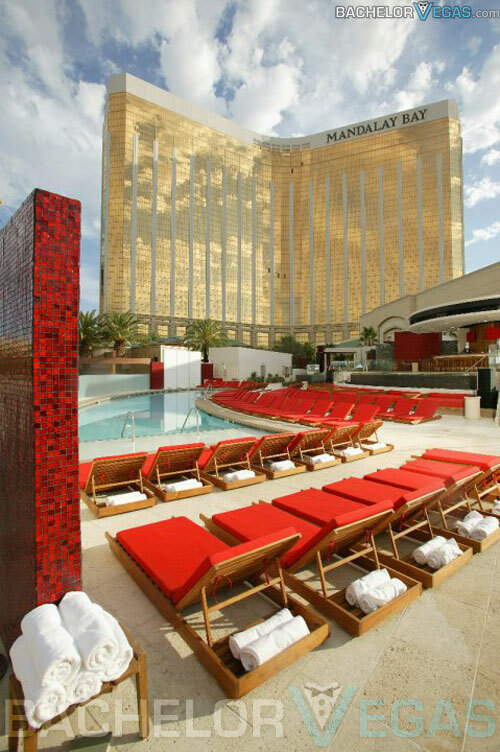 If you're finally willing into this necessity, you'll want to pick yourself the perfect venue - one that is at the top of its game, one like the Moorea Beach Club of Mandalay Bay. 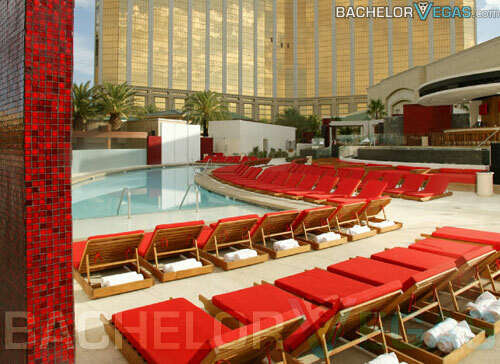 At first glance, Moorea Beach Club looks to be fairly small in comparison to some of the other beach clubs along the Strip. Despite this appearance, it's curved design and layered seating offers a lot more space than it seams. Lounge chairs line it's main pool area, offering the perfect view for those with voyeuristic tendencies. Opium beds lining the sandy outer parameter of the club offer a nice bit of seclusion for those wishing to lounge in private without loosing the comfort of the sun. Hanging drapery act as curtains for those that wish not to be seen while the top of the bed still allows for optimum sun. 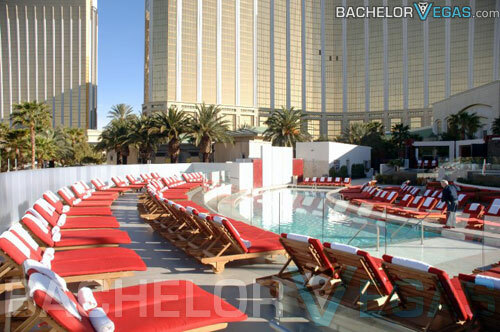 More extravagant individuals can make use of the numerous daybeds lined throughout the pool party. Offering the most private and secluded of settings, the Pavilion Daybeds act as mini poolside hotel rooms. Equipped with amenities like a wall-mounted flat screen television and full wet bar, the Pavilion Daybed is a hot commodity with any guest willing to spend a little extra money. 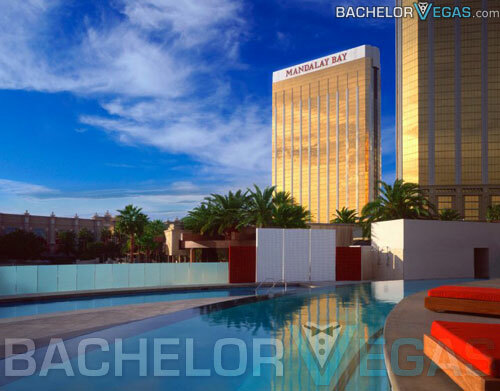 For those with that extra cash, upper level cabanas offer the same amenities as the Pavilion Daybed with the inclusion of a private bathroom and a bird's eye view of the venue. 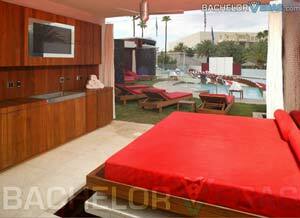 Perfect for the bachelor party is the Grand Villa, which lies next to the upper level cabanas. Five flat screen TVs compliment the private bar and sofas, but may offer little entertainment when compared to the included stripper pole. If you don't mind a crowd of about 15 people, you can make use of the separate living room-esque space that is set apart from the busy pool area. Back on the lower level lies the full sized bar which is adorned with flat screen televisions and frozen drink dispensers. Paralleling the bar is a long hot tub, perfect for a large crowd of people wishing to sip their top shelf liquor in style. 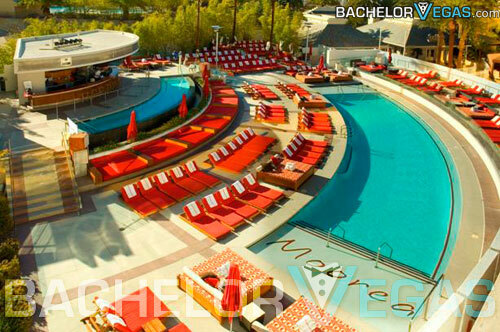 The atmosphere at Moorea Pool Party is sure to please anybody looking to escape the busyness of a public pool. Plan ahead and rent a private space for the perfect experience by calling us at +1 702-333-2323 . 5.0 on Feb 20, review by Grace C.
5.0 on May 9, review by jazzy J. 4.5 on Nov 7, review by Venessa R.
5.0 on Jul 2, review by L P.